A well-known Belfast solicitor has told The Detail that a group of individuals in Belfast is seeking to “reignite” the Emerald Fund project. Paul Tweed says that a number of business people in Belfast have been examining new ways to re-open access to the Emerald Fund for a range of major investment projects in Northern Ireland across a range of sectors including renewable energies and IT. “We are liaising with a number of interested parties, including senior politicians in Belfast and New York, in the hope of accessing some of the funds originally opened by the pension funds up by for investment here,” said Mr. Tweed, who has represented a number of high-profile clients on both sides of the Atlantic including Britney Speers and Harrison Ford. “A group has been working to explore the possibilities and to identify projects. We want to reignite the project and build on the work that has already been done on both sides of the Atlantic. News of the behind-the-scenes attempts to re-open the Emerald Fund comments come a week after which North America’s importance to the local private sector was further underlined. Economy Minister, Arlene Foster was in Canada on a trade mission while US Secretary of State Hillary Clinton’s special economic envoy, Declan Kelly, was here for a jobs announcement in Fermanagh. Just a week before the annual St Patrick’s Day celebrations in Washington, Kelly was keen to point out that despite the global recession, corporate interest in Northern Ireland remains strong. The focus this year again in Washington will be on inward investment. But as Peter Robinson and Martin McGuinness prepare to leave for the US, their department has been embarrassed by the failure of Emerald. The OFMDFM heralded the Emerald Fund as “the largest ever public investment” in Northern Ireland – worth up to $150 million. Ten years before, the focus on Northern Ireland had been all about finding a political settlement. A decade later, on the 10th anniversary of the Good Friday Agreement, the focus had shifted to sustainable economic prosperity. There were plenty of picture opportunities on April 11, 2008, when the then First Minister Ian Paisley and Deputy First Minister Martin McGuiness, stood alongside New York City Comptroller Bill Thompson, with smiles as big as the promises. For those of us who aren’t familiar with the economic and political infrastructure of New York, the comptroller is the Big Apple’s elected chief fiscal and auditing officer. The ‘Chuckle Bothers’ grinned as Bill Thompson announced that trustees of the fund were committing $150million to the Emerald Investment Development Fund LP, that, according to the First and Deputy First Minister “will total some $750million and will target infrastructure investment projects.” Paisley and McGuinness hoped the extra $600m would come from other US pension funds wanting to get in on the action if the initial New York investment was seen to be doing the business. Three years on, as the St Patrick’s Day circus gets ready to again pitch its tent in Washington, without a single cent invested here and the fund now defunct, the question is what happened? Writing for The Detail, John Breslin has dealt with the circumstances surrounding the establishment of the fund in New York. But why didn’t the money go into Northern Ireland infrastructure projects or renewable energy as was originally targeted? We do know that 12 months after its launch, the fund’s apparent under performance was raised at a meeting of Stormont’s top civil servants. A minute from the “Permanent Secretaries Group” meeting on March 27th states that a number of senior civil servants were “still investigating how money from the Emerald Fund has been distributed” and would report back in April. However, the minutes from the next meeting on April 3rd makes no mention of the fund nor do any of the other meetings during that month. In fact, the Emerald Fund is never mentioned again in any of the published minutes for the PSG meetings during the rest of that year. Six months before, the News Letter reported that Ulster Unionist MLA David Burnside had described the fund as “worthless” after he asked Department of Regional Development Minister, Conor Murphy if he intended to go to Emerald to help finance his road building projects. The Minister had explained that if was to borrow from the Americans, the capital funding from London would be reduced.
" Borrowing from organisations such as the Emerald Fund and the European Investment Bank is not free, as the loans must be repaid with interest,” Mr Murphy explained. There appeared to be some surprise at Stormont that Americans had the audacity to expect a return on their not insignificant investment. 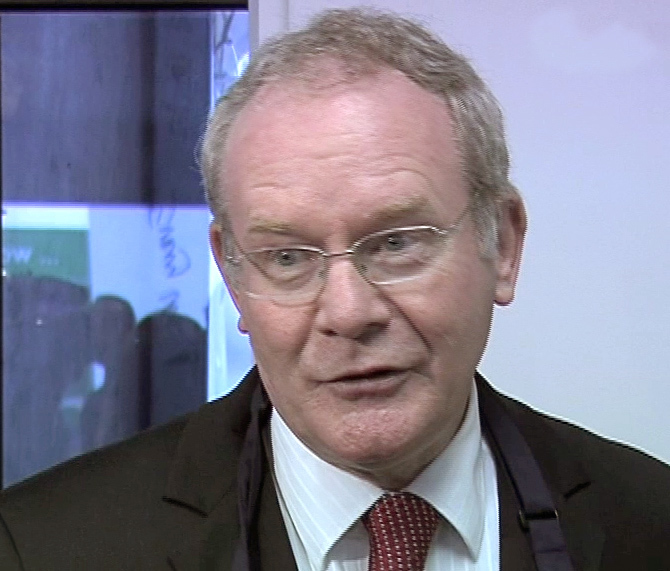 Last April, after coming back from the St Patrick’s Day celebrations, the Deputy First Minister, Martin McGuinness was still hopeful that the new Comptroller would stick to his predecessors committment to invest in Northern Ireland. In an answer to the Assembly, told his party colleague, Barry McElduff that the money was still on the table, but the right type of projects needed to be identified.
" During my most recent visit to the US, I was pleased to meet Tom DiNapoli in New York and to have his assurance that he is fully committed to investing pension funds here also. I also met the newly installed New York City Comptroller, John Liu, who has just completed his first two months in office.
" I was impressed by his knowledge of the potential for investments here and his determination to achieve mutually beneficial investments here. It was also clear that many of his aides and the people around him are conscious of what has been happening here and of the opportunities that that presents to them.
" However, more work needs to be done by the pension management companies that are charged by the comptrollers’ offices to identify projects that are suitable for investing here, and we will continue to work with both offices to make that happen. Indeed, we wish to extend our relationship to other state and city comptrollers across the United States.
" As we all know, state pension funds are one of the most attractive forms of alternative financial reserves that are available to small regional economies such as ours. We will continue to persevere. There were problems with the Emerald Fund at the beginning, but lessons have been learned. We hope that those initial teething problems will be overcome rapidly in our dealings with John Liu and Tom DiNapoli." Despite the Deputy First Minister’s confidence, the situation only got worse. In response to a number of questions sent by The Detail, a spokesperson for Emerald Management, the New York company that was tasked with managing the fund for the Comptroller’s office, provided us with the statement which cited the economic downturn as the main reason for the lack of investment. “ In January 2010 Emerald received notice from The Office of the Comptroller of The City of New York that the entities which had invested in the fund had elected to end their participation in the fund. 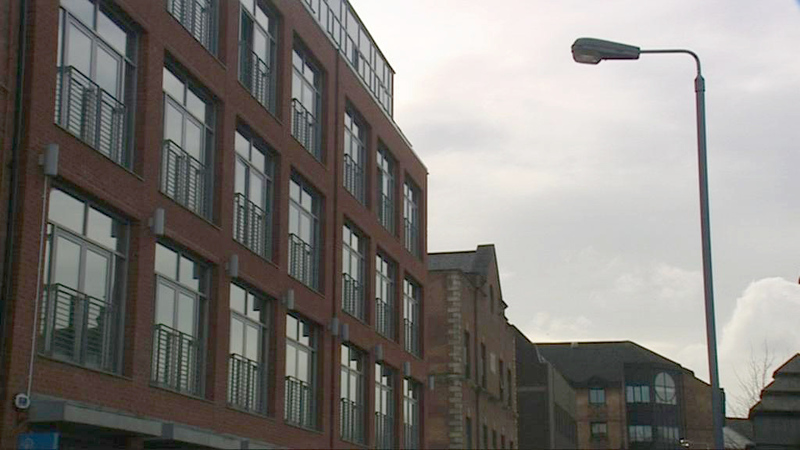 While it was up and running, the Fund’s representatives were based in the heart of Belfast’s Cathedral Quarter and had at least two local employees. The offices in Talbot Street are now occupied by an American IT security firm. Since contacting Emerald Management about our story, they have removed the Belfast office address from their home page, but the glossy screenshots of what was to be the fund’s website can still be found on the portfolio pages of Belfast-based web design firm Green 17. This website was never launched. Similarly you only have to look at the client pages of Belfast advertising and design company Elm House Creative, which showcases its brand design for Emerald, to see that there were big things planned for this fund. Emerald’s mission statement boasted that more than half of its total investments would be put towards projects which operate either exclusively in Northern Ireland or in both parts of the island. 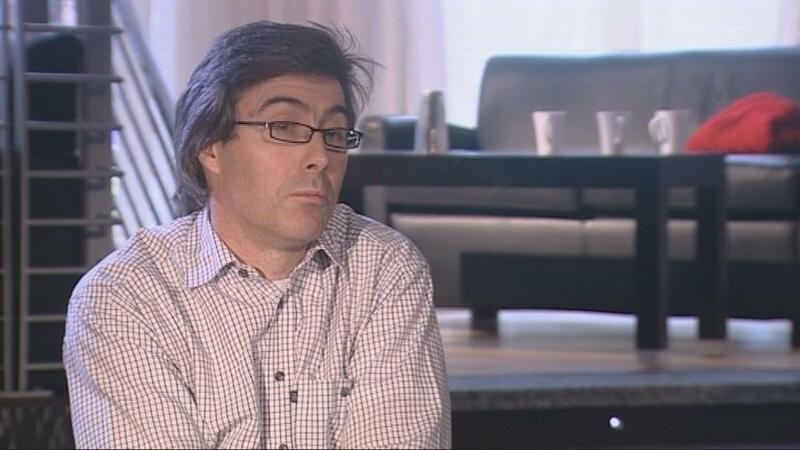 Richard Chadwick was the former head engineer at Limavady Gear which went into administration last October. He tried to contact Emerald on a number of occasions without any success. 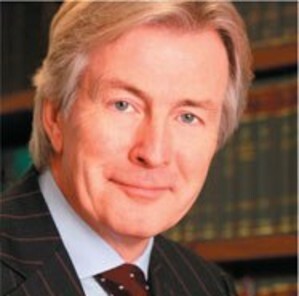 He said: “Obviously during due diligence, (we were) looking around for funding and there it was in your face. “Great big reports in the paper, great big reports of smiling politicians shaking hands and saying how wonderful it was. “So I got the contact details and tried very hard to make contact with these people because the intent of that fund was to invest in new, green renewable companies, it was written for us”. Tom Brennan, managing director of Derry-based renewable solutions firm Rural Generation, actually met representatives from Emerald – but nothing ever came of it. He said: “The difficulty was from a community point of view or an industrial point of view or a commercial point of view here in Northern Ireland we weren’t able to give them the scale they were looking for. “That I suspect was always going to be a problem in Northern Ireland with 1.5 million people. “No one behind the hype when they looked at the individual boxes that you had to tick said well it needs to be of scale or else these guys won’t fund. We contacted OFMDFM for a reponse, but they declined to comment. To understand the hype that surrounded the ill-fated fund you have to consider the context and the political environment out of which it was born. By April 2008, the euphoria and good will that came with the historic images of Martin McGuinness and Ian Paisley in a power sharing executive was beginning to wear off. At the time, Bill Thompson controlled assets somewhere in excess of $180 billion and approaches from his office were unlikely to be rebuffed by anyone at Stormont. Michael Smyth, a former economic adviser to the Northern Ireland Assembly and economics lecturer at the University of Ulster questions whether there was enough due diligence before getting involved in the initiative. He said: “Trying to attract US investment is one thing but actually knowing the structure here and knowing how we could have absorbed that is quite something else. He is convinced Northern Ireland is not still not ready for the scale of the investment envisaged by Thompson and his office. But with the intervention of the new Belfast group seeking to “reignite” the fund, this may not be the end of the story. “ We are determined to get this money back on the table. It’s a nonsense to suggest that Northern Ireland is incapable of handling this level of investment. We need to get this money back on the table,” said Mr. Tweed.
" We must continue to actively advance the strong and compelling argument that NI is a unique and very attractive investment opportunity".